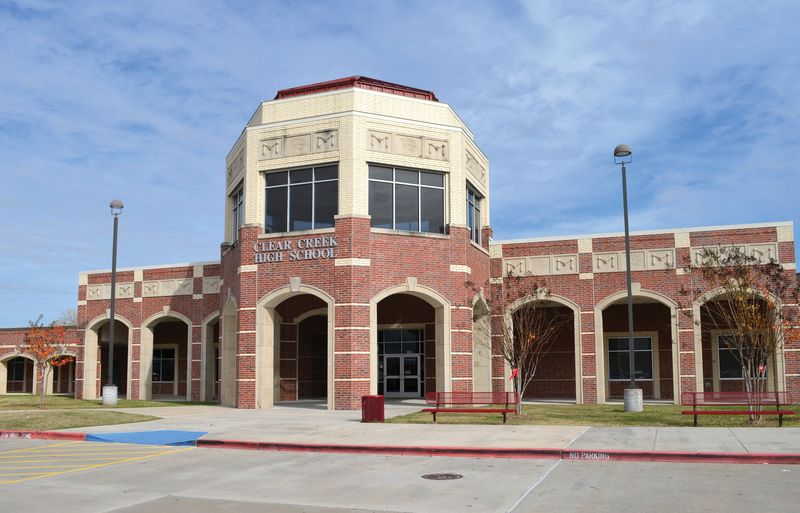 Renovations and additions to Clear Creek High School are beginning this spring after Clear Creek School Board trustees gave their approval of the $35.9 million rebuild project. Included are the demolition and rebuild of the Career Technology Education wing and portions of the fine arts and athletics areas of the school to ensure that Clear Creek ISD “stays at the leading edge,” as Superintendent Greg Smith suggests. Their okay came at the April 27 meeting with Trustee Dee Scott urging approval in what would be her last vote as a trustee. She was honored earlier in the evening for her many years of service to CCISD. Some of the project is a continuation of the rebuild of the district’s oldest high school 10 years ago when the campus that first opened in 1957 in League City got a modern look and many of its buildings had to be replaced. Additions to the Creek campus will include a dental lab, health science classrooms, ROTC classrooms, and space for metals manufacturing, construction technology, agriculture science and engineering classes, after which portions of the old CTE Building will be demolished. A third gym, expansion of the Athletic Storage Building, Stage Wing and the Dance Locker Room, plus renovation of the Choir Room and support spaces, and replacement of pool lighting and the Softball Field Backstop also are planned, as is an upgrade for the Natatorium. Carlisle Field House will be renovated, including the gym, restrooms, locker rooms and athletic support spaces, as will the Spring Sports Building. Foundation work on the kitchen is included, along with replacement of the serving line and priority repairs and replacement of the roof, electrical and heating/air condition systems where needed. OK’d a $244,000 contract with Firetron to replace Ed White Elementary’s fire alarm, intercom and cafeteria sound systems.